Response surface methodology (RSM) was applied to optimize the synthesis of octyl acetate from n-octanol catalyzed by acidic ionic liquid. Based on the single factor experiments, Box-Behnken central composite design was adopted to investigate the effects of various reaction conditions, including reaction time, alcohol/acid mole ratio, amount of water carrying agent, the amount of ionic liquid and their interactions on the esterification. 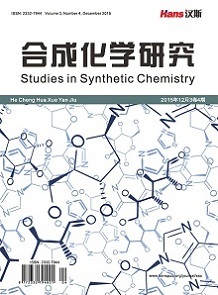 The analysis from Design-Expert showed that the interactions between the amount of water carrying agent and the catalyst dosage, the molar ratio and the amount of ionic liquid were the strongest. The optimum conditions were as follows: reaction time 1 h, n(acetic acid):n(n-octanol) = 1:1.8, ionic liquid 5% of acid and the amount of water carrying agent 10 mL. Under the optimized conditions, the yield of octyl acetate reached 95.4%, in close agreement with values predicted by the mathe- matical model. [HSO3-pmim]HSO4 ionic liquid showed the good catalytic properties and stability on the esterification of n-octanol with acetic acid. L. O. Bernard, R. A. Ford. GRAS substances. Food Technology, 1998, 52(9): 81-91. 宋光林, 郭峰, 曾广铭等. 乳香中乙酸辛酯含量的测定[J]. 贵州科学, 2008, 26: 57-60. 北京化学试剂公司. 精细化学品手册[M]. 北京: 化学工业出版社, 2002: 857. N. D. Marti. Bioengineering techniques for streambank restoration: A review of central european practices. Watershed Restora- tion Project Report, 1995: 4-9. 汤晓君, 刘明武. 沸石分子筛催化合成乙酸辛酯[J]. 大庆石油学院学报, 2008, 32(3): 46-48. 韩杰丽, 李海峰, 王自为等. 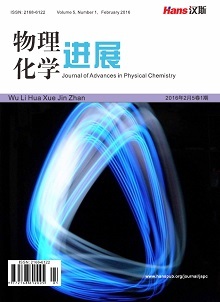 [(C6H5)2NH2][PW12O40]•4H2O催化合成乙酸辛酯的研究[J]. 山西大学学报(自然科学版), 2008, 31(2): 211-214. 章爱华, 邓斌, 刘文萍等. 对甲苯磺酸铜催化合成乙酸辛酯[J]. 应用化工, 2009, 38(11): 1586-1588. 张小曼. 离子液体催化合成食用香料乙酸辛酯的研究[J]. 中国食品添加剂, 2010, 2: 72-74. L. A. Blanch-ard, D. Hancu, E. J. Beckman, et al. Green proc- essing using ionic liquids and CO2. Nature, 1999, 399: 28. N. V. Plechkova, K. R. Seddon. Applications of ionic liquids in the chemical industry. Chemical Society Reviews, 2008, 37: 123- 150. J. X. Wang, Q. Wu, H. S. Li, et al. Research progress of acidic ionic liquids and their applications in catalysis reactions. Chemical Industry and Engineering Progress, 2008, 10(27): 1574-1592. T. Long, Y. F. Deng, S. C. Gan, et al. Appli-cation of choline chloride•xZnCl2 ionic liquids for prepara of biodiesel. 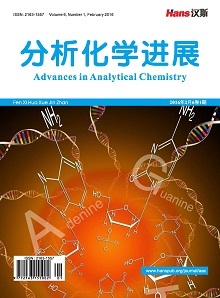 Chinese Journal of Chemical Engineering, 2010, 18(2): 322-327. L. Yong, C. X. Jie, K. Yang, et al. Synthesis of tributyl citrate using acidic functional ionic liquid as catalyst. Journal of Mo- lecular Catalysis, 2008, 2(22): 105-110. X. X. Han, L. X. Zhou. Optimization of process variables in the synthesis of butyl butyrate using acid ionic liquid as catalyst. 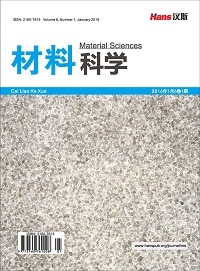 Chemical Engineering Journal, 2011, 172(1): 459-466. 葛静微, 罗均, 李小定等. 响应面分析法优化血红素提取工艺[J]. 食品科学, 2010, 31(8): 60-64. 朱升干, 郑典模, 张晓婕等. 响应面分析法优化乳化石蜡制备工艺[J]. 化学工程, 2010, 6(8): 87-90. 章凯, 黄国林, 黄小兰. 响应面法优化微波辅助萃取柠檬皮中果胶的研究[J]. 精细化工, 2010, 27(1): 52-56. 吴芹, 董斌琦, 韩明汉等. 新型Brφnsted酸性离子液体的合成与表征[J]. 光谱学与光谱分析, 2007, 10(27): 2027-2031.